Travel is one of the kaleidoscopic ways to escape reality, when life begins to look monochromatic. The lust for discovering new horizons takes us far from the menacing roar of traffic and hits the refresh button on our senses. This month we take you places that surround you in trees, birds and the unheard. We explore the rustic and rarely touched faces of the land of the plenty – the United States of America. 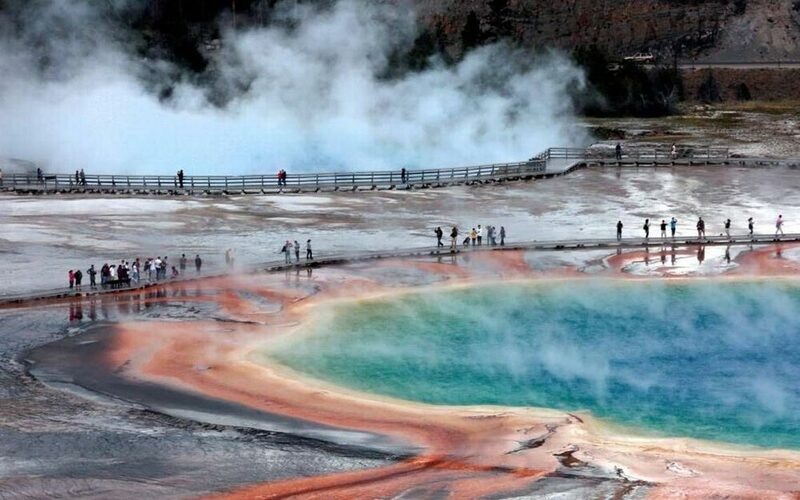 Our first pick is the world’s first national park brimming with astounding phenomena. The sprawling area touches three states and has everything from technicolour springs to mud pots. The park undoubtedly has many facets to marvel at, but it is during fall that the beauty of it comes alive. Comfortable days with crisp, slightly chilly evenings make it perfect to explore the wildlife hidden in colourful foliage. While seeing the iconic Old Faithful geyser is a humbling experience on its own, the place is filled with rugged wilderness and abundant opportunities to put a check mark on your list of to-do things. The one location where an explorer can genuinely witness the drama of the natural world unfold is in the clear cobalt, cerulean, and aqua waters found deep in the mountains of Sierra Nevada. 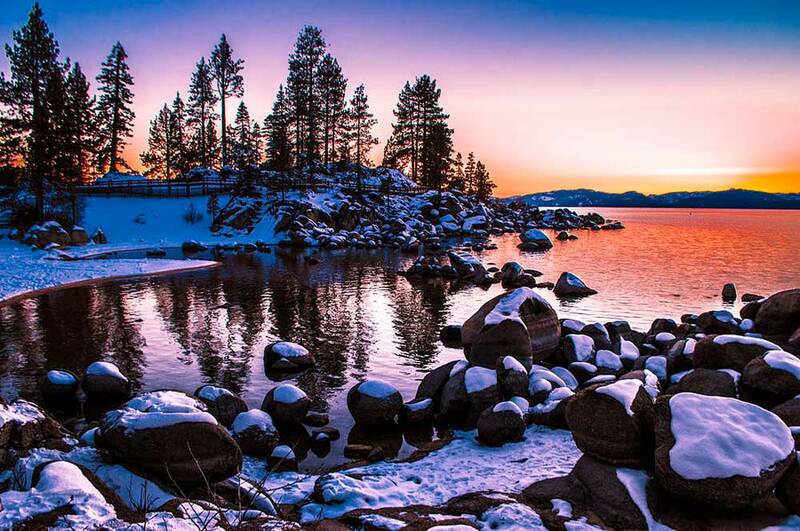 As autumn turns to winter, the land around is just beginning to get blanketed in snow while the lake itself remains unfrozen. The myriad shades of the lake bounded by jagged peaks creates a spellbinding effect. Not to mention getting to experience the beginnings of skiing season and a range of other winter activities to its fullest. A city that opens minds and renews perspectives, Santa Monica is the holy grail of the laid-back lifestyle. But the real calling card of the town is its golden beaches. 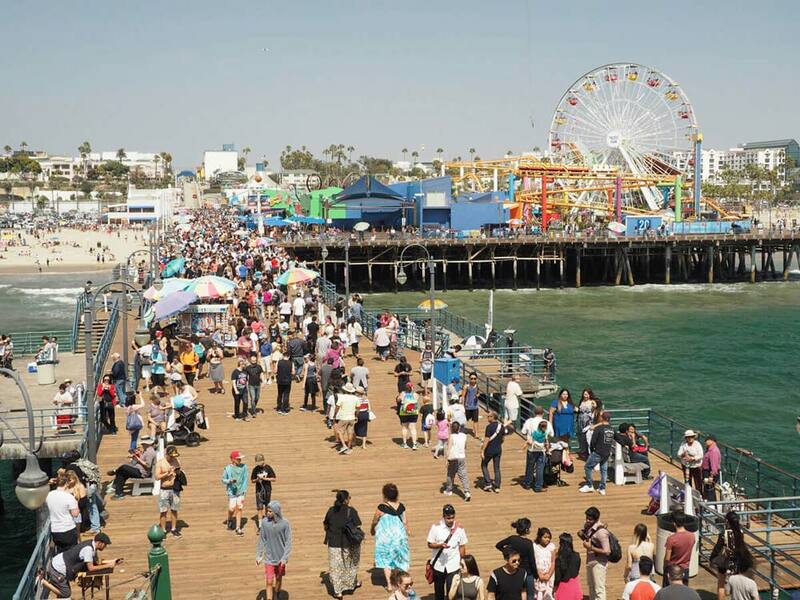 For a getaway that makes you lose yourself in the rolling waves of the blue sea and thriving sentience of a crowd, it is the beachfront of Santa Monica you need to visit. The more than a century old pier with its iconic Ferris wheel and vintage carousel are the ideal antidote to draining modern life. Our can’t-miss-it tip is to go a step beyond the compelling landmark and find the memorable Santa Monica stairs. They will take you so high (110 feet to be exact) that you can see cities rolling into hills or blending into the Pacific. For decades, this natural wonder has attracted tourists from all over the world to see more than hundred thousand gallons of water plunging down every second. While the Canadian side is chock full of kitschy attractions, the other, American side of the falls on the other hand, is still beautifully preserved. Just short of 30 km from Buffalo, New York, the falls are accessed through a landscaped park free of any razzmatazz. The site lets you experience the power and sound of gushing water in all its glory. Our can’t-miss-it tip for the city is the majestic architecture of Falling Waters designed by Frank Lloyd Wright. A fitting tribute to the natural wonder itself. For those of you who enjoy road trips, getting used to driving on the right side of the road will be well worth the effort. To enjoy some of the most picturesque and historic routes to drive on, there’s no country like the United States. 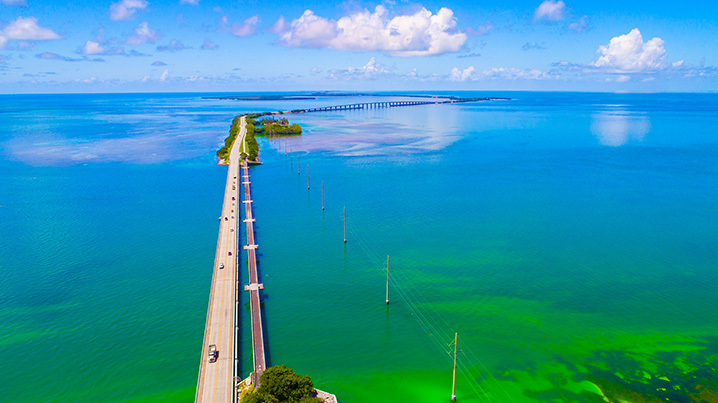 The famous Route 66 from Chicago in the North-east to Santa Monica on the South-West, a coast-to-coast on Route 20 from Newport, Oregon to Boston, Massachusetts and The Overseas Highway through the Florida Keys are some of our recommendations! This fall, take a step towards the lesser-travelled path and soak in these untouched territories, quiet places found just beyond the city limits. Or go road-tripping from California to Nevada on bespoke self-driving routes put together by us. Why wait, go see with Indiana Travels!